Vermont Gov. Peter Shumlin (D) Wednesday signed into law two bills aimed at reducing the toll of drug overdose deaths in the state. House Bill 65 provides limited legal protection for those who witness or experience a drug or alcohol overdose and summon medical assistance, while House Bill 522 permits prescription of the opiate-antagonist drug Naloxone to third parties and provides limited immunity for such prescription as well as administration of the drug. 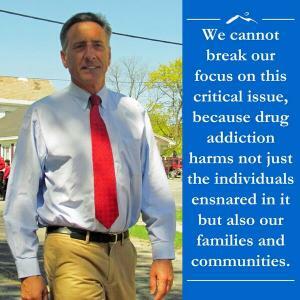 "We cannot break our focus on this critical issue, because drug addiction harms not just the individuals ensnared in it but also our families and communities," Shumlin said. "I pledge to continue to work with mayors, law enforcement, medical and mental health experts and legislators to fight this problem, and will be focusing between now and January on the next steps in this battle." HB 65, the "Good Samaritan" bill is the broadest of its kind. While 13 states and the District of Columbia have enacted such bills, Vermont's is the first to provide protection from arrest or all drug offenses -- not just possession -- as well as protections against asset forfeiture. It also provides protection against the revocation of parole or probation or the violation of restraining orders for people who seek help for overdose victims. "Criminalization should not be a barrier to calling 911," said Lindsay LaSalle, an attorney with the Drug Policy Alliance. "The Vermont legislature has aptly recognized that saving a life is of paramount importance to the prosecution of any nonviolent drug crime." HB 522 is the bill that expands access to Naloxone, which is credited with reversing more than 10,000 overdoses nationwide since 1996. The bill also provides immunity from civil or criminal liability for Naloxone providers. "Implementation of these new laws by public health and law enforcement officials is critical to improving public willingness to immediately seek medical assistance for overdoses involving illegal drugs and alcohol use as well as to administer Naloxone to opioid overdose victims," said LaSalle.